Shastri thought he was being ballsy literally and got trolled — deservedly so — on Twitter, Facebook, even primetime news on the Indian telly. The result was that a vainglorious, average, ex-all-rounder and an equally pedestrian commentator-turned-coach took away much of the limelight from India’s historic first-ever opening match Test victory in Australia. This was also India’s sixth Test win Down Under and first in a decade but all talking points converged on a silly thing said. It’s been years since I last watched cricket. And it is precisely because of this coterie of ex-Indian cricketers and administrators with questionable reputations and credibility in the game, and the country’s spiralling obsession to be fed this daily tripe that I gave up watching a game I used to love. Back in 2007, when I was still a newbie in Indian TV production, cricket raked up all the TRPs. An 18-hour shift straight after a regular 9-5 taught me this while piecing together dramatic packages on the ‘mysterious’ death of Bob Woolmer, the then Pakistan coach, just after his team’s shock World Cup defeat to Ireland. For the next three days, Ireland’s fantastic upset win — a true cricket spectacle — was a sorry side-story and Bob Woolmer’s possible reasons of death was the real focus. As journalists, we still had an enormous responsibility to report the facts, and quite understandably, cricket took a back seat. A decade on, real cricket often continues to play second fiddle to shenanigans surrounding it, keeping people like me disenchanted. There was a time I truly loved cricket. For a long time, it meant everything to me. Once, I even hung on to a naked wire at a precarious angle for a whole night fighting mosquito bites, a full bladder, and my mum’s ire, only to continue tapping the neighbour’s live feed of Saba Karim (of all people), scoring a fighting fifty on his ODI debut for India against South Africa in Bloemfontein. It was a cold January day in 1997 and Karim — who eventually played just one Test and 34 ODIs for India before copping a career-ending hit on his right eye while keeping up to Anil Kumble — had just become yet another player from Kolkata to break into the India fold wearing a blue jersey. India fell short of 39 runs but Karim’s 48-ball 55 (his only career fifty incidentally!) that included one of the sweetest drives over the covers for a six in cricket, more than made up for all that didn’t go down well on that late night-turned-early morning adventure. For all of cricket’s glorious moments, neither this match nor Saba’s stunning six-hitting moment comes close to being remarkable to even the most romantic of cricket fans. But years on, the grainy images of Shaun Pollock being hit out of the ropes is as vivid in my memory today as many other such moments in the game. None, however, have been about inane moments of madness off the pitch, produced by limelight-hogging characters and administrators, like it usually is these days, like it was earlier this week. Cricket never needed these, and it is precisely one big reason why today I have no love lost for cricket after two decades of a tempestuous relationship with the game. It’s not that the sport lacked problems earlier — ball tampering, match fixing allegations, sledging all made headlines, but for all those affronts, there were real stories of the game too — marred less by things and people who should matter less to everyone — fans and journalists alike. Even football, the world’s most global and popular game, has had its share of drama and controversies, arrogant bosses of cash-rich associations, but cricket cannot afford to be steamrolled by the riches of one particular board and its egoistic former players who think they own the game. The gentleman’s game needs to be spared this nonsense. Cricket is professionally played by a fraction of the world. My seven-year-old has seen four more countries than the 11 that currently play Tests (considered the pinnacle of the game). Just about six or seven actually even make it a contest. 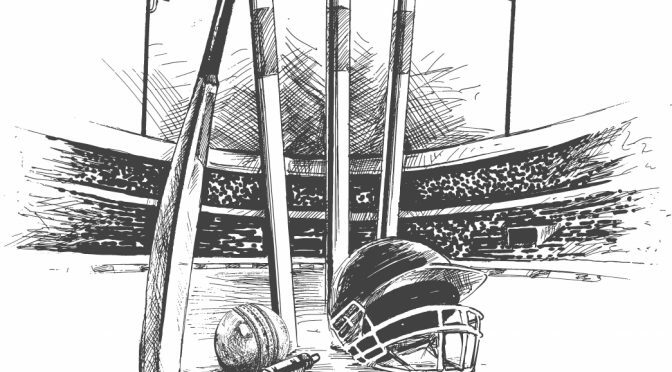 If cricket has to spread its wings, Indians must stop behaving like we own the game. And we the people — the game’s ex-lovers, like me, fans, administrators and former players — must collectively work towards preserving the sanctity of the game without incidents like this week’s involving the crass tongue of one Mr Shastri.